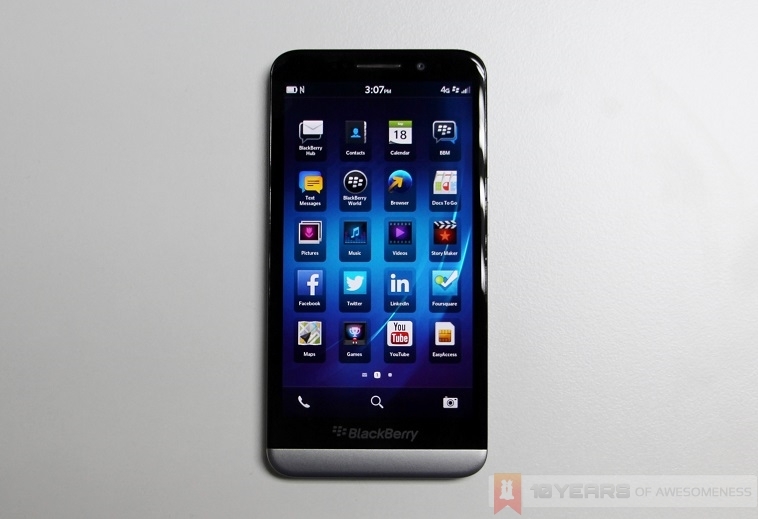 BlackBerry’s latest smartphone, the Z30, has just been announced. 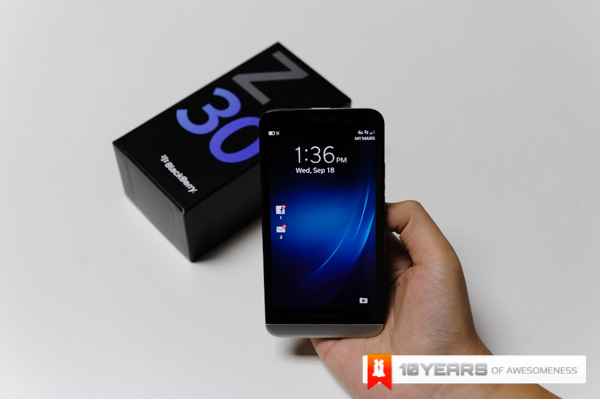 Embracing the popular five-inch form factor that has become particularly popular this year, the Z30 is undoubtedly the finest touchscreen smartphone the Canadian company has produced to date. 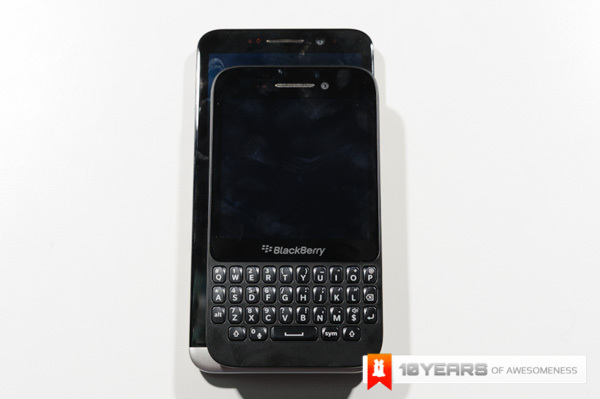 Its first attempt, the Z10, received a rather lukewarm response as diehard BlackBerry users took some time to adapt to the gesture-centric BlackBerry 10 OS, while non-BlackBerry users eventually found the lack of apps a crippling deficiency and voted with their money. With a spanking new device and a significantly larger app ecosystem since its inception, can the Z30 turn the fortunes of the company around? We spent a little while with the Z30, and here’s our initial impressions of BlackBerry’s latest smartphone. 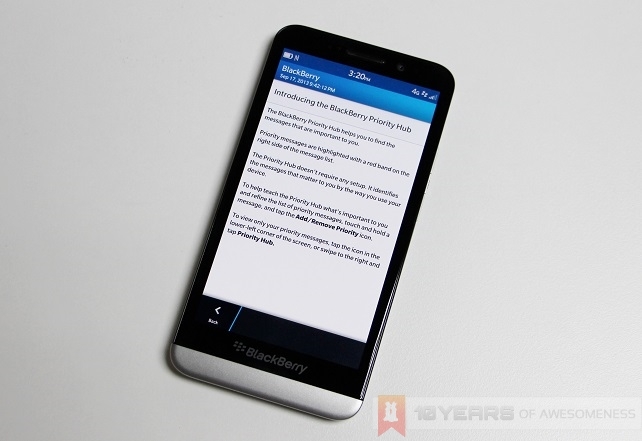 Like BlackBerry’s other flagship BB10 devices, the Z30 feels spectacularly well-built. 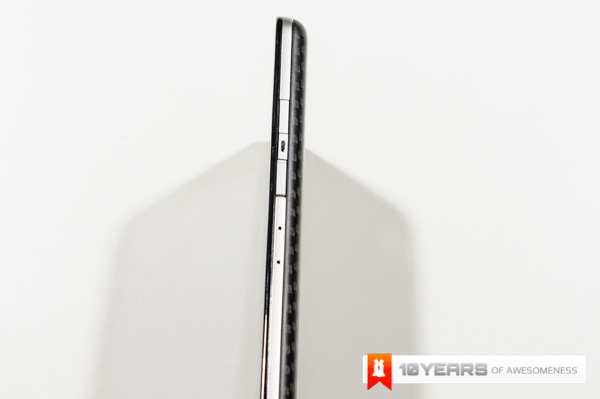 The Z30 reminds me a lot of the Nokia Lumia 920 when it first came out: it was heavy and thick, and almost unapologetically so. Despite its 9.4mm and 170g body, the Z30 feels more solid than hefty, and the curved edges at the back makes the phone feel great on the hands. 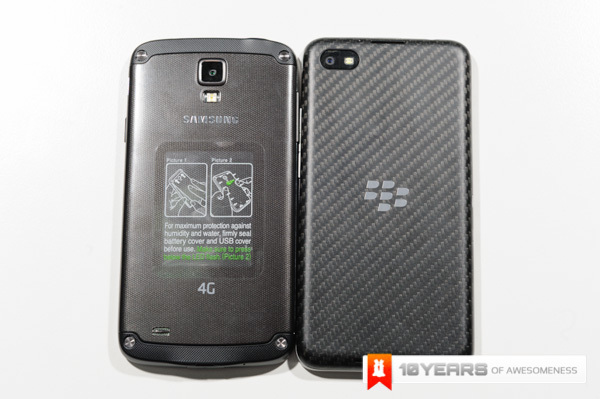 Part of this is also due to the back cover, which is made from a similar material as the back cover of the black Q10. 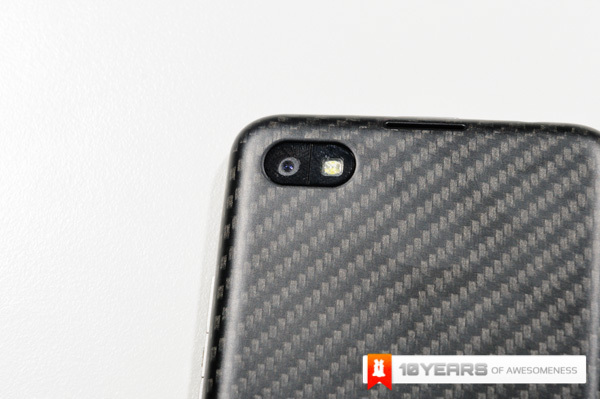 There’s a carbon fiber-like finish that gives a rubbery feel, adding lots of grip. 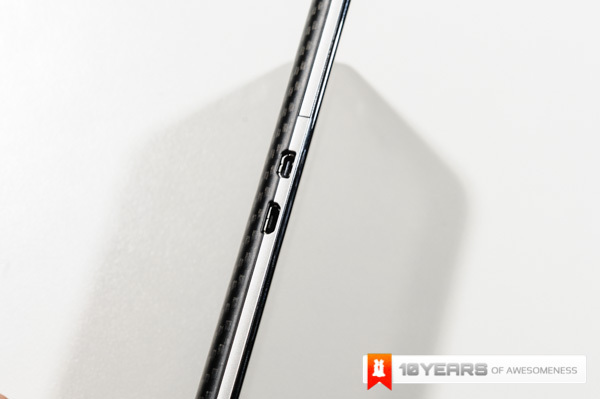 It’s also less prone to fingerprints, which coupled with the minimalist front, makes for a pretty classy smartphone that is perfect for its target market. 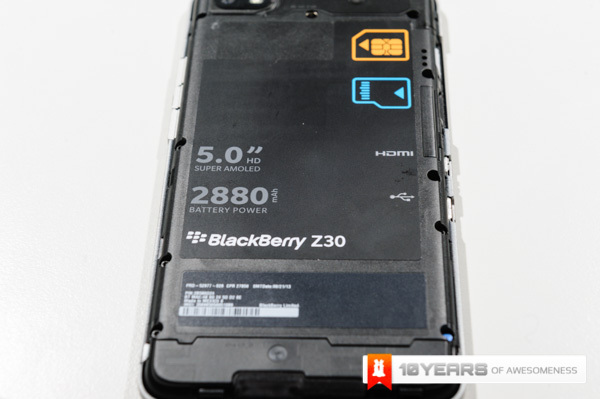 Speaking of which, the Z30’s back cover can be removed – albeit with some dedicated digging at the cleft located at the bottom of the device, preferably with fingernails. 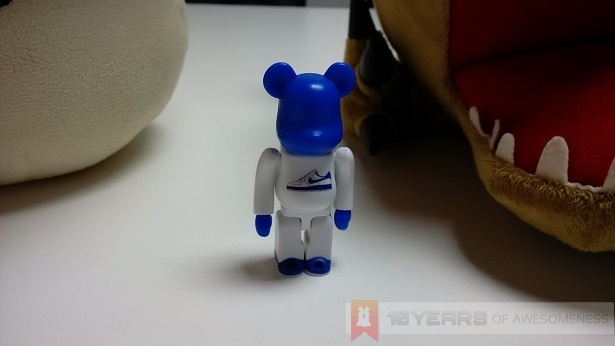 Once opened, however, users may be disappointed to know that the battery cannot be removed. 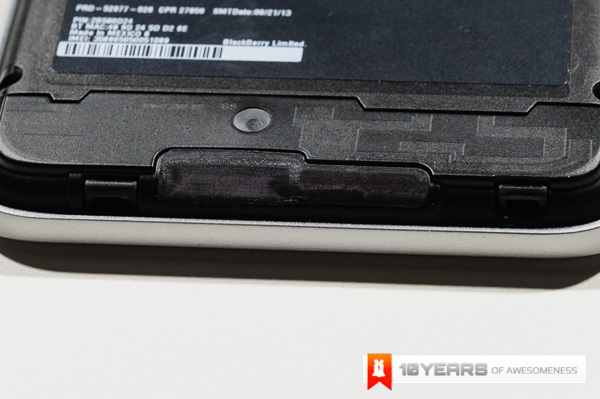 The only things that can be removed beneath the the cover is the micro-SIM card and the hot-swappable microSD card. Also, removing the back cover also reveals that the Z30 sports not two, but three rear speakers: two at the bottom, and one right near the top. And they’re very good. The volumes the speakers can reach before breaking is enough to make the entire office look up and take notice that it was coming from a smartphone. 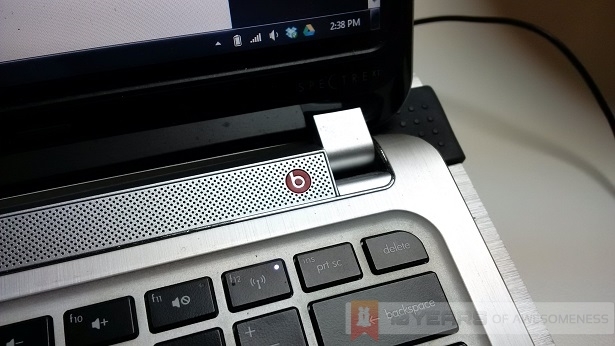 There is no audio enhancement software here; just some very impressive hardware at work. Another interesting aspect about the Z30 is its size. 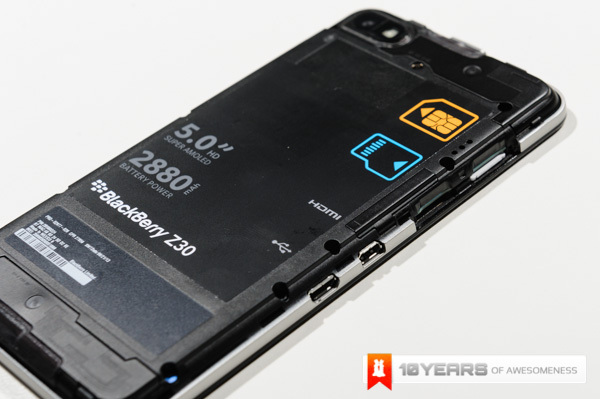 Perhaps due to its higher than average weight and thickness, the Z30 also gives the impression that it is rather bulky. 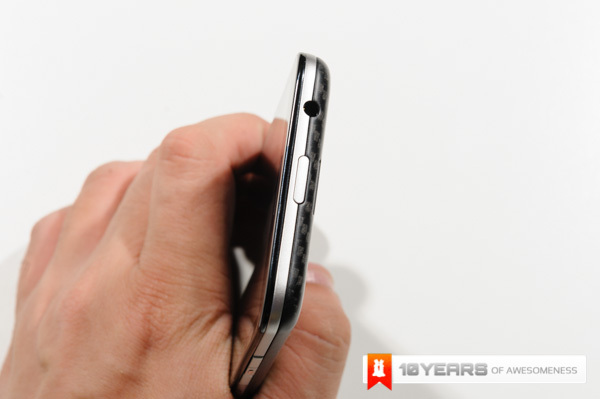 But when placed next to, say, an LG Nexus 4 for example, and there actually isn’t much difference in terms of dimensions. 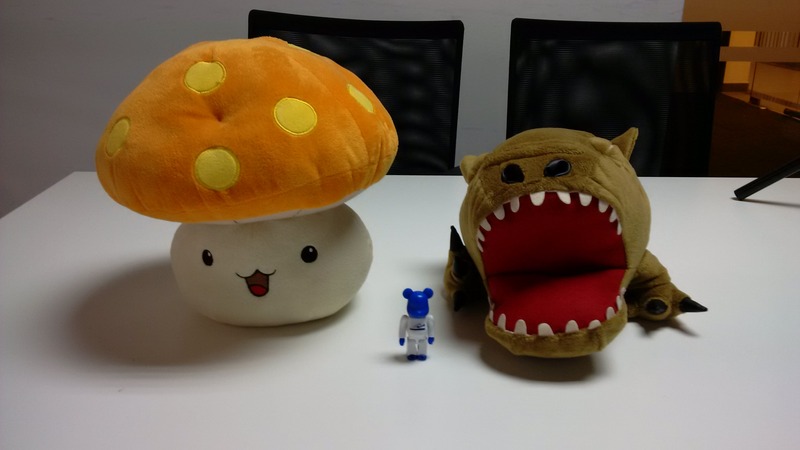 In fact, it is almost the same size as the Samsung Galaxy S4 Active. Unfortunately, that’s when the Z30 stopped sounding like a flagship phone. 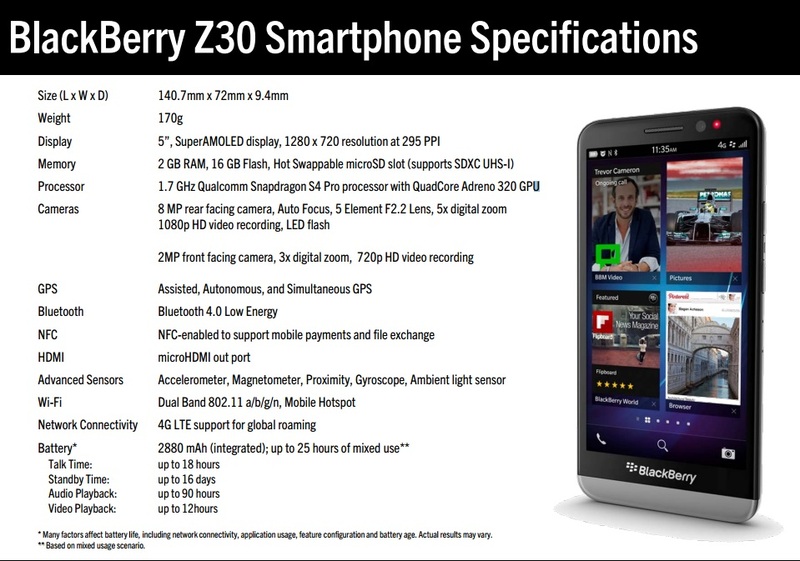 A peek at the specs list reveal that the Z30 feels more of a slight update to 2012’s Z10 than a proper flagship the company deserves. It uses Qualcomm Snapdragon S4 Pro MSM8960 dual-core chipset clocked at 1.7GHz, which is a slight upgrade from the 1.5GHz S4 Plus variants used in the Z10 and Q10, the same amount of RAM (2GB) and flash memory (16GB), and a similar 8MP rear and 2MP front camera sensor. 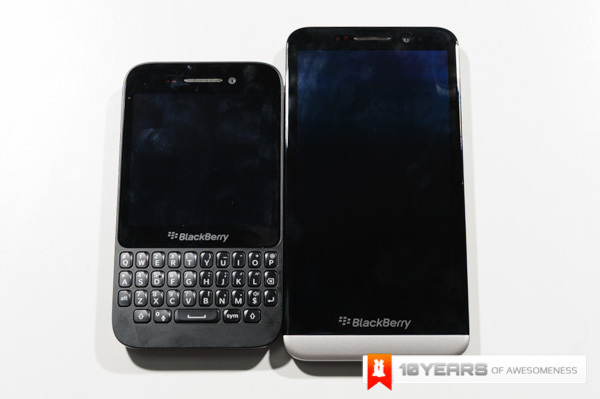 The only differences to the Z10 are the addition of a much larger 2880mAh battery and a larger screen which, incidentally, has a lower resolution (1280 x 720) than the Z10 (1280 x 768) despite being larger (5 inches) than the Z10 (4.2 inches). And that’s downright confusing. 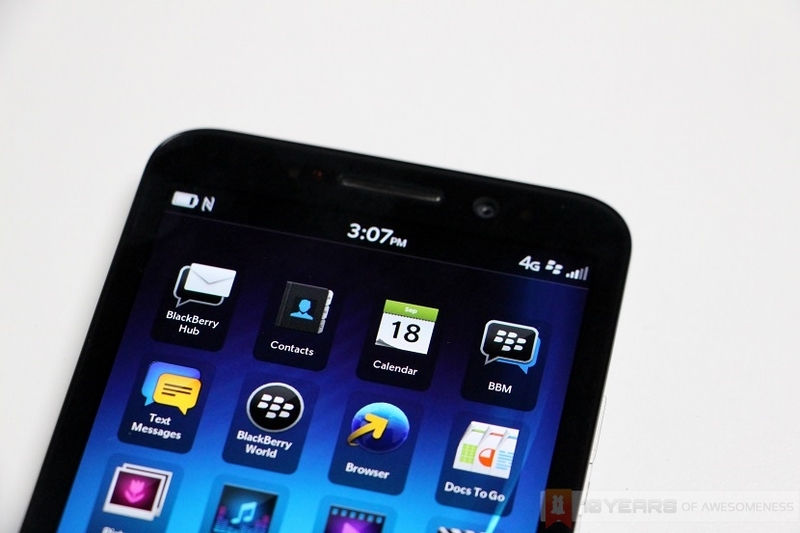 This smartphone will be bearing the BlackBerry torch into 2014 while running what will by then be a two-year-old chipset. 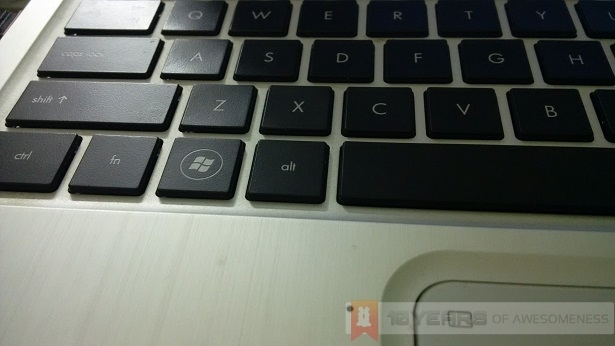 For a retail price of RM1998, however, consumers will be hard pressed to find a flagship device in that price range. BlackBerry’s super competitive pricing for the Z30 is particularly interesting, too: it’s cheaper than both the Z10 and Q10 smartphones at their Malaysian launch (RM2188 and RM2388 respectively), and is a hair under the RM2000 mark many consider to be flagship territory. 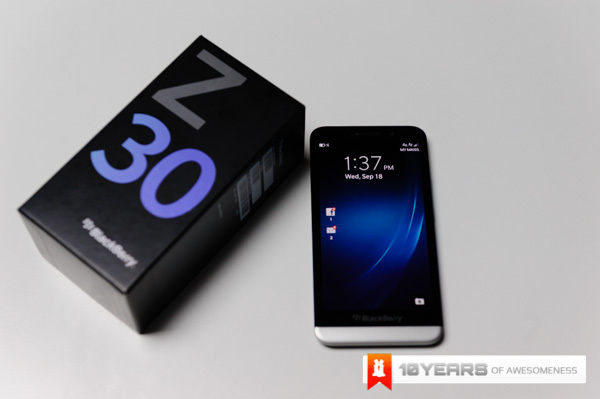 On the software front, however, the Z30 is the first BlackBerry device to run on the company’s latest BlackBerry 10.2 update. 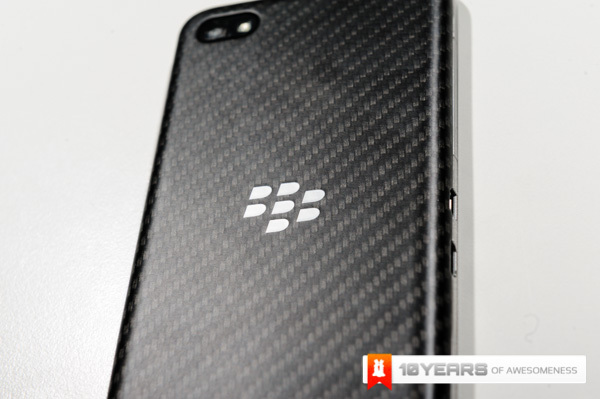 As leaked versions of the update has been circulating as early as August, BlackBerry 10.2’s inclusion in the Z30 shouldn’t be a surprise to many. 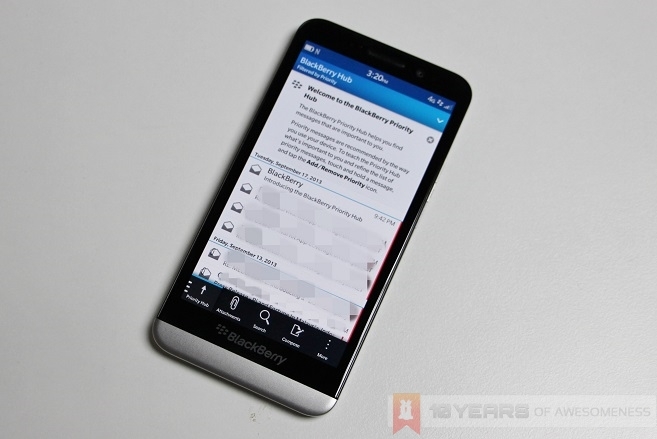 It offers more refinements to the new platform, such as the introduction of BlackBerry Priority Hub, expandable notifications on the lockscreen, as well as a Task Manager. Because the BlackBerry Hub can be a very busy collection of notifications, the BlackBerry Priority Hub (which resides within the BlackBerry Hub) is an interesting solution. The system’s algorithms select messages that are deemed important as you use the device, and priority messages will be highlighted on the regular Hub with a red band on the right side of the message list. Users can also manually configure the list of priority messages in the “Add/Remove Priority” feature. The lockscreen notifications are also now expandable. 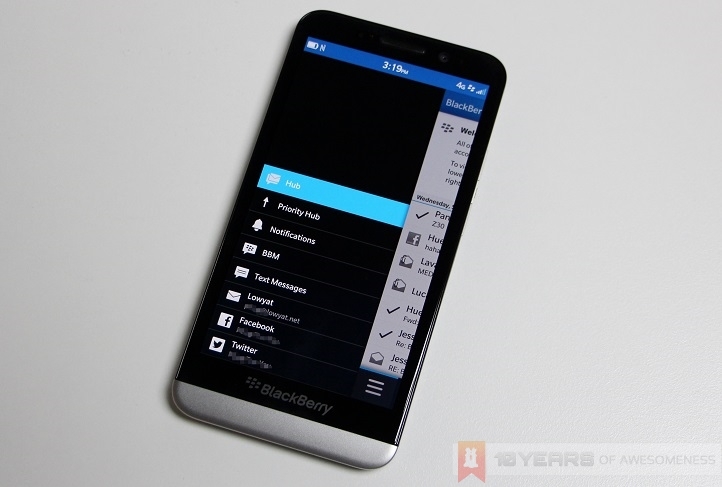 While in BB10.1 the notifications are all compiled in a set of icons, tapping on the icons now lets you see a preview of the notification. 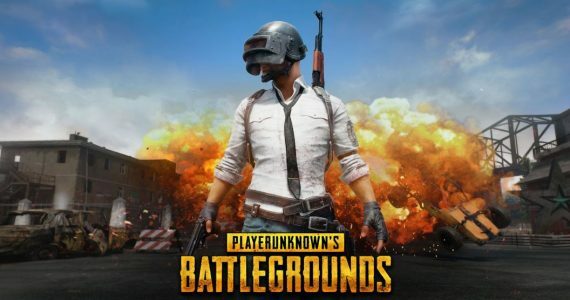 Unfortunately, they are not “actionable”: tapping, double-tapping, long-pressing or any other gesture will not unlock the phone and open the corresponding notification. 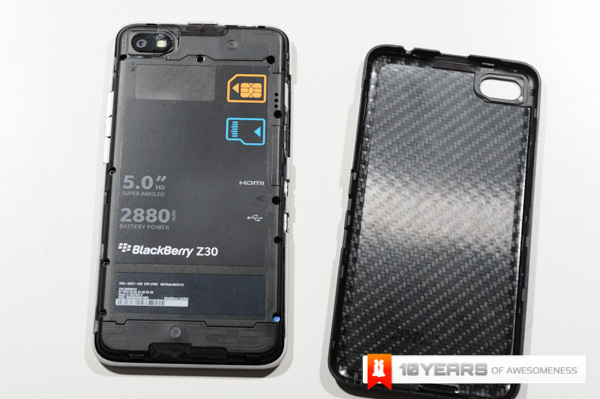 As for the camera, it appears that the Z30 sports a similar 8MP backside-illuminated (BSI) sensor as the Z10. As we have seen previously, the Z10’s camera can hold its own when pitted against other flagships, and our first impressions for the Z30’s camera performance are the same. 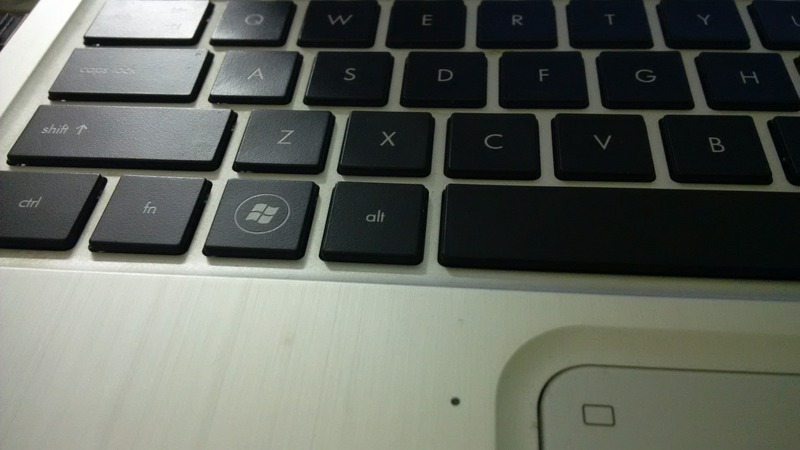 The sensor works very well outdoors, and manages to take pretty decent shots indoors as well. What’s not good is the fact that focus is still fixed in the centre of the frame, which is a glaring omission that makes little sense at a time when smartphone cameras are becoming more and more powerful. EDIT: As Apollo pointed out in the comments, the focus box can be dragged on to any point in the frame. 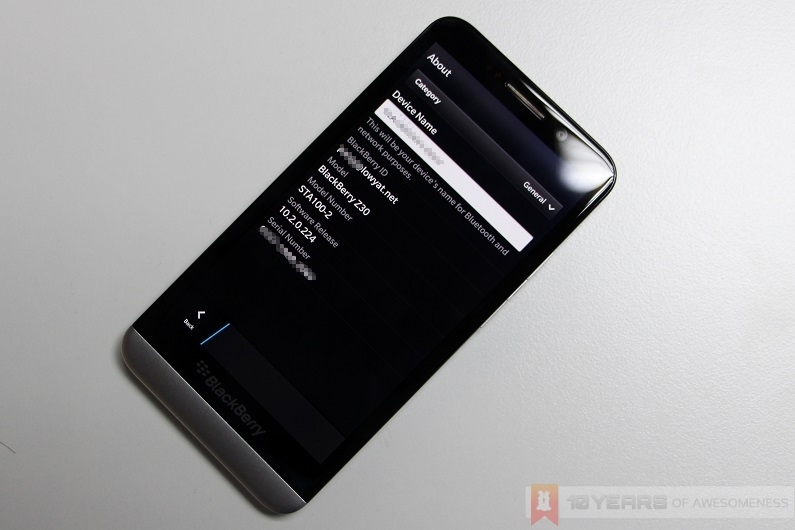 The new feature on BB 10.2, however, is Focus Lock. Long-pressing the focus box will enable the feature, allowing the sensor to lock on a fixed focal length – which will be particularly useful in video recordings. While the Z30 is certainly very well built, some questions remain in terms of the Z30’s hardware and its future capabilities. 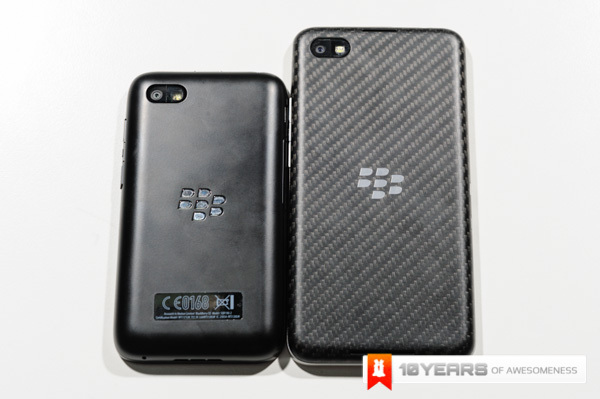 Will BlackBerry fans be happy with what appears to be an incremental update to the Z10 rather than a “proper” new flagship? 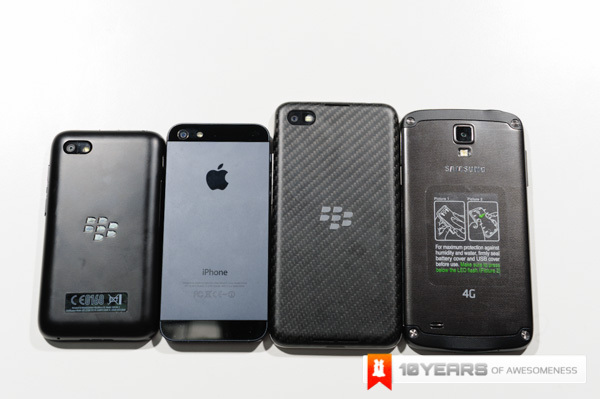 More importantly, can a solidly built, handsome and attractively-priced BlackBerry device can take on the Nokia Lumia and its Windows Phone 8 OS in the race to be the third major mobile platform? 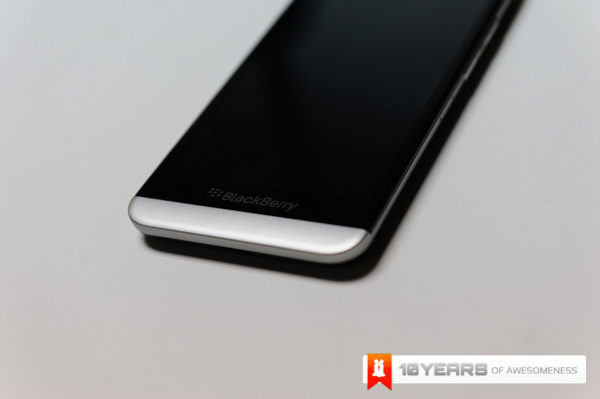 Can the attractively low retail price help neutrals to try the Z30 out? We’ll find out soon enough.